Well, Star Wars is now owned by Walt Disney. This will mean some great new rides at Disney World, and finally we get to see the next instalments of the Star Wars films. George Lucas originally planned 9 movies, with 3 stories following on from Return of the Jedi. Follow on stories have also been written by various authors, such as Sean Williams, Brian Daley, William C. Dietz, A.C. Crispin and L. Neil Smith. I have read some and they are good books! 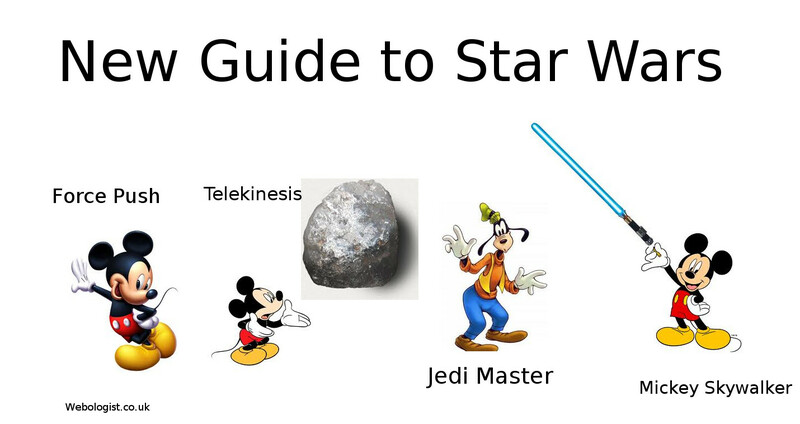 So, here is our new visual guide to how we expect to see Star Wars evolve over the next few years!